Before you pay for that second-hand appliance, computer or sofa, get a signed Warranty Bill of Sale from the seller. This form is for the United States and can be used in any state. The seller warrants to the buyer that the property being sold does not have any liens, encumbrances, charges, security agreements, or other claims against it. You cannot use this bill of sale form for vehicles or mobile homes, but you can use it for any other types of personal property. Never buy a used big ticket item without getting the seller to sign this USA Warranty Bill of Sale for Personal Property. Download your copy now. Transfer title to a West Virginia property from a seller to a trustee with this West Virginia Deed of Trust. A Deed of Trust is often used in place of a mortgage when purchasing real estate. It cannot be used for agricultural land. Under the Deed of Trust, title is conveyed by the seller to a trustee instead of to the purchaser. The trustee holds the title as security to ensure the purchaser's performance of its obligations (including payment of the purchase price, maintenance and upkeep of the property, payment of taxes, etc). If the borrower defaults in payment, the balance becomes due and payable and the trustee may sell the property. The Deed of Trust contains uniform covenants regarding payments, taxes and insurance, care and maintenance of the property, protection of the lender's security, and other standard clauses. The borrower waives all right of homestead exemption in the property. 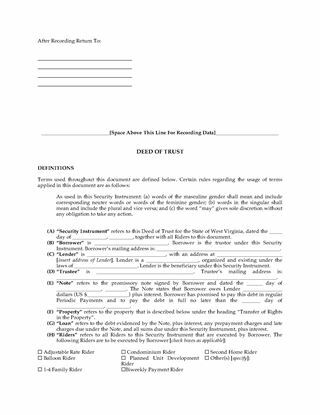 This West Virginia Deed of Trust form is provided in MS Word format, and is fully editable to meet your needs. Write up a Term Loan Agreement for a borrower using this downloadable template form. 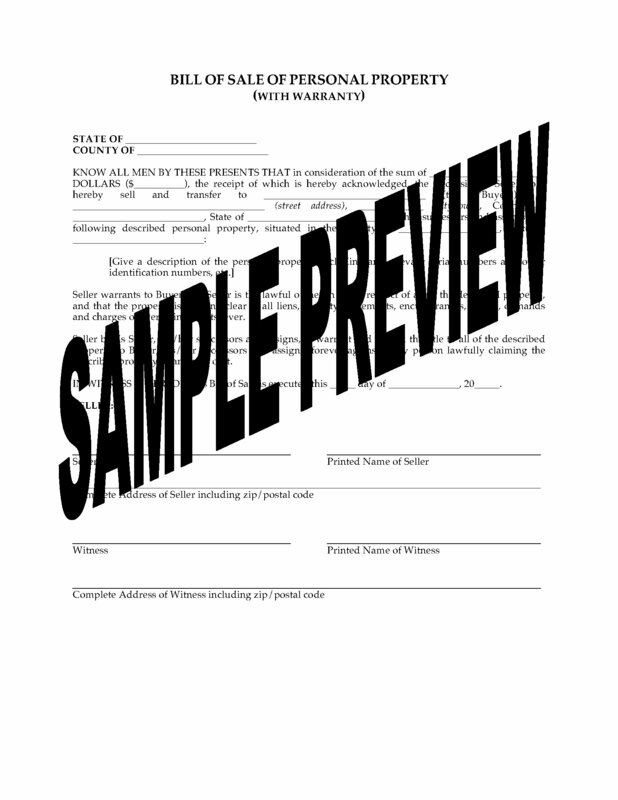 This customizable legal template is governed by the laws of the United States. The borrower has the option to pay all or part of the term loan on any interest payment date, without premium or penalty, provided that a specified minimum prepayment amount is paid. The borrower has the option of selecting an interest period of more than one month's duration (up to but not including the next interest payment date). If the borrower fails to properly notify the lender, the interest period will automatically be set at one month's duration. The borrower may elect to have more than one interest period outstanding at any one time, provided that no interest period extends beyond the maturity date. The USA Term Loan Agreement is a standard form template which can be easily personalized for each borrower. Just fill in the details, print and get it signed.